I stumbled upon these Collection Cosmetics Loose Highlighters when I was browsing the cosmetics aisles at Wilkos while my friend purchased cat food. Collection Cosmetics is a brand that has fallen off the radar in my estimation. The hype surrounding the Collection Lasting Perfection Concealer and their Fast Stroke Liquid Eyeliner have been drowned out in favour of Shape Tape and Makeup Revolution Conceal & Define*. Of course, that's just my opinion. I still think their gel nail polishes are fantastic and have such a great brush, incredibly easy for anyone as clumsy and impatient as me. Looking at these highlighters I was initially sceptical, even though I like the packaging. A part of me is always a bit exasperated when brands continue to push the holographic fantasy trend. We get it. Anastasia Beverly Hills released the Moonchild Glow Kit*. Affordable holographic highlights are cool and interesting if done well and if not commonly used on the face at least they can jazz up the eyes a little or even the body and make for some fire Instagram shots. Unfortunately, these are a mess. As someone who doesn't particularly like highlight, especially loose highlight, I might be biased. I also know what shades work for me and these aren't it. I can be impartial and I do enjoy makeup so I can see the merit of things even when I am not the target demographic. These look fun. 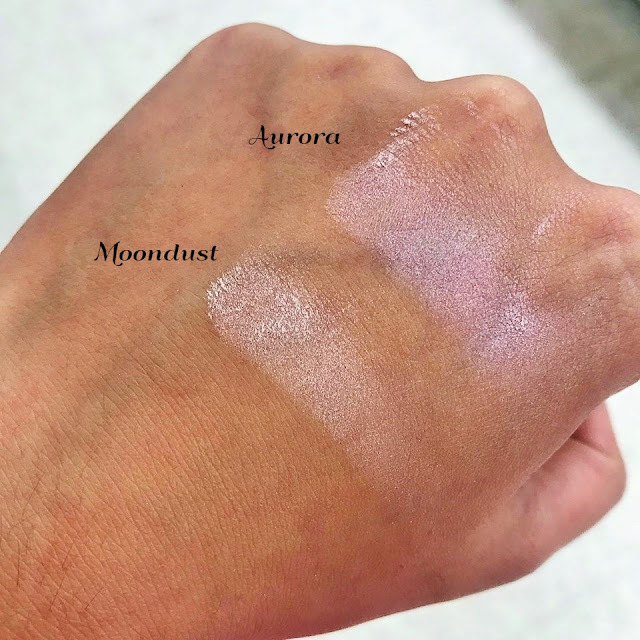 However, the swatches above indicate their powdery texture, the base colour is so light that when blended it disappears into nothing leaving only a chalky texture behind with a hint of pinkish bluish shimmer. 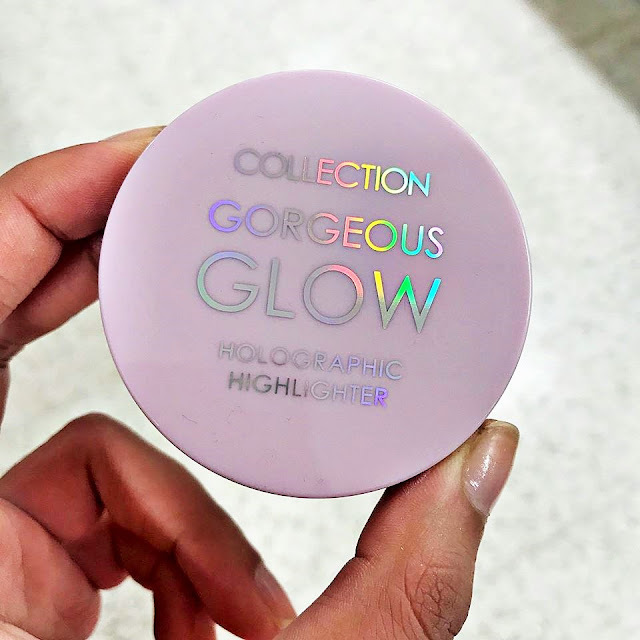 The Collection Gorgeous Glow Holographic Highlighter in Moondust (£3.98) and the Collection Gorgeous Glow Holographic Highlighter in Aurora (£3.98). 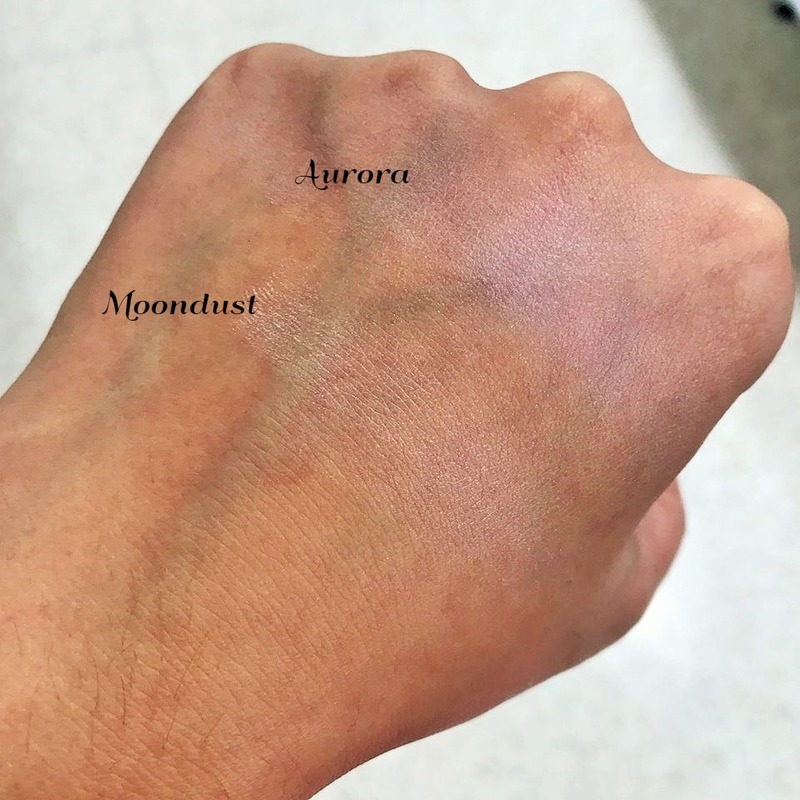 Below you can see the swatches blended out. As mentioned, I am not a fan of loose highlighters I think they are messy and can be difficult to control. For me, these highlighters just didn't do anything and I am not sure who exactly would like them or want to buy them, because I can see they aren't aimed at me. I am curious to hear your thoughts on these highlighters. Do you like the look of them? Would you wear them? Are you a fan of the holographic highlight in general? 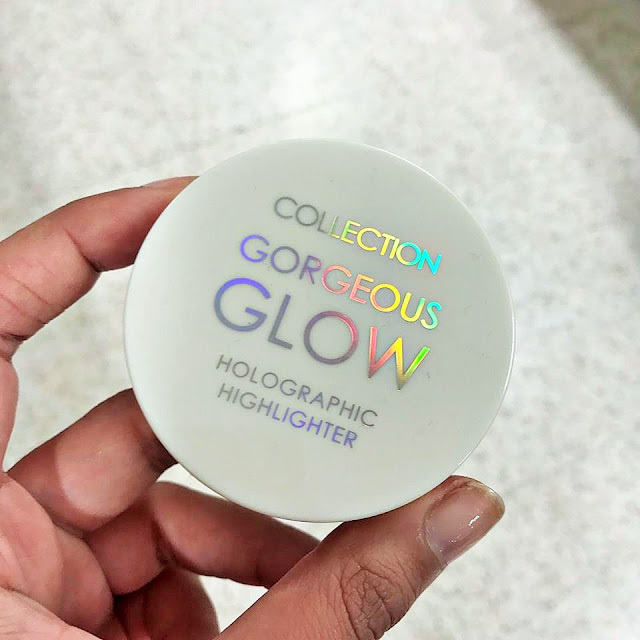 My personal opinion is that there are certainly better holographic definitely better loose highlighters out there, such as Juvia's Place* and Artist Couture Diamond Glow Powders* who have really bright reflective highlighters with serious impact. Thank you so much for reading, I hope you are having a wonderful week so far. Take care. What do you think of Collection and these loose highlighters? I'm not going to lie, when I scrolled through before reading I was thinking "yikes, I don't love the look of them", I don't know if it's just that I'm not keen on the holographic look for me, or because they're messy and don't stand out when blended. It's a shame because I quite like Collection! Oh wow these are a miss! Thanks for sharing! I'm not a big highlighter fan. Sorry these didn't work for you. Thanks for sharing! I haven't jumped on the holograph highlighter train. They do look nice but I haven't really wanted to wear them. I'm sorry these didn't work out for you. I never heard about these (probably because no one liked them?) and I will for sure pass on them. Thank you for the review!